The New Moon begins Tuesday, September 19th initiating NEW ventures and partnerships. 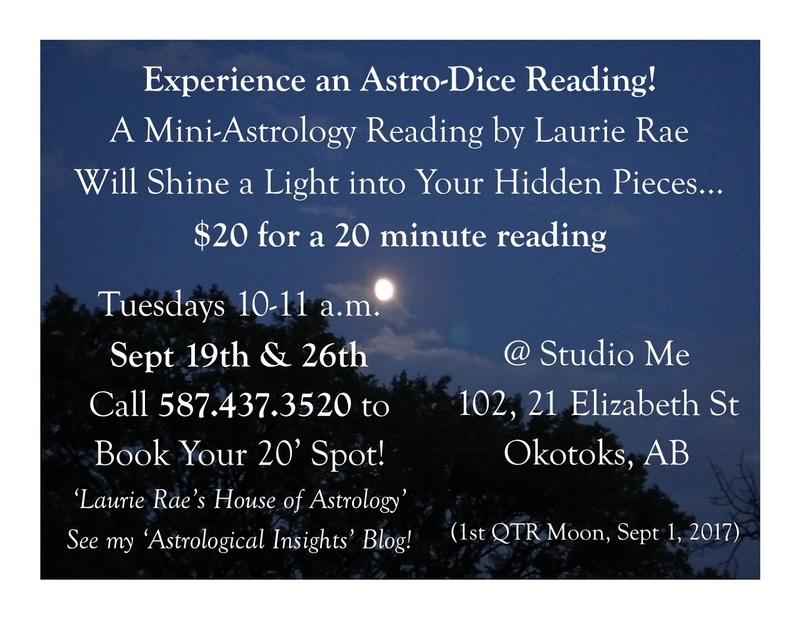 AND, I have an hour both tomorrow morning and next Tuesday morning from 10:00 a.m. until 11:00 a.m. to do 3 Astro-Dice Readings each day! Yay! These Astro-Dice give a mini-reading version of what Astrology can reveal to you about whatever current challenges you are experiencing in the Now. And possible resistance you’ve been experiencing to DO or SAY whatever you’ve not been allowing yourself to Do or Say! 20′ spot for tomorrow or next Tuesday morning! more equal footing your way! Experience something NEW at the same time! Appropriate within the energy of a New Moon phase.